"FLY high my beautiful baby boy. Until we meet again, we love you." 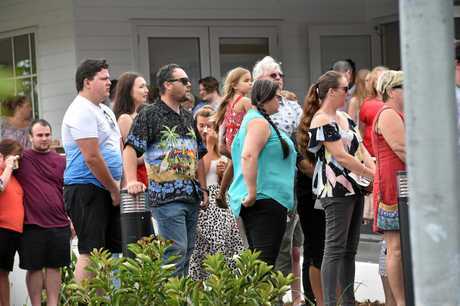 Those were the words of Maria Reynders as she addressed hundreds of mourners gathered this morning to farewell her son Nyles who was tragically killed in a crash on New Year's Eve. Nyles, 21, died in hospital after his car crashed into a tree on Blackall Range Rd, West Woombye about 8.50pm. The SPAR Palmwoods staffer had finished work and was driving the short commute home so he could celebrate the new year. 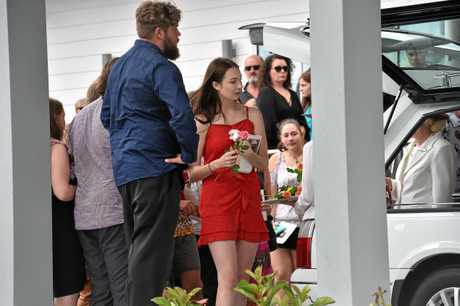 His tragic death marked the 16th fatal crash on Sunshine Coast roads in 2018, and the third in less than two days. Nyles was remembered as a fun-loving son, brother and friend who always had a smile on his face. 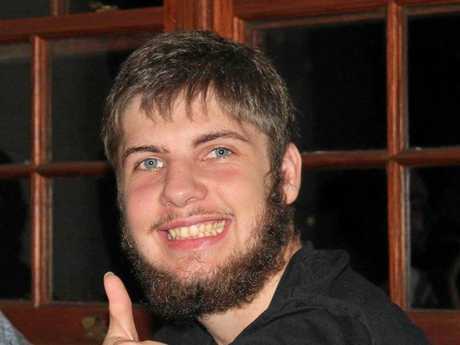 Nyles Reynders, 21, died in hospital on January 1 after his car crashed into a tree on New Year's Eve. 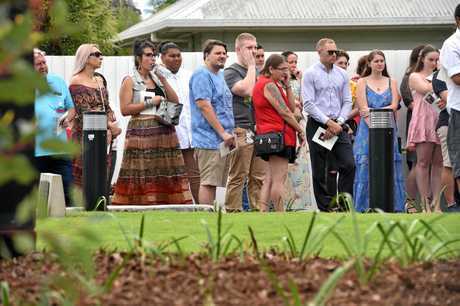 His parents, Maria and Leo, welcomed Nyles' friends and family to a colourful celebration of his life at the White Lady Funeral chapel at Nambour. Guests were asked to wear slogan t-shirts or colourful outfits, to represent Nyles' "huge collection of terrible slogan t-shirts". There was no shortage of tears or laughter as those who knew Nyles best spoke of happy memories and heartbreaking loss. Burnside State High School chaplain Matt Brady spoke lovingly about Nyles and the Reynders family before welcoming Mrs Reynders to the podium. 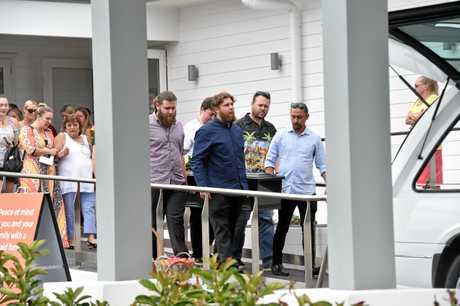 "For the Reynders family, knowing that Nyles was loved and respected by so many helps them to deal with this difficult and horrific reality they are facing today," Mr Brady said. "As parents, we read in the media about so many tragedies that unfold on our roads involving young people. We hope, and some of us pray, that this will never happen to one of ours, and then it does." He said children weren't meant to leave this world before their parents, and when they did the grief was almost too unbearable to manage for family left behind. Mrs Reynders said Nyles, one of eight siblings, was an "incredibly independent child". She spoke of the shock and sadness after her family learned that Nyles had lost control of his car when coming home from work. 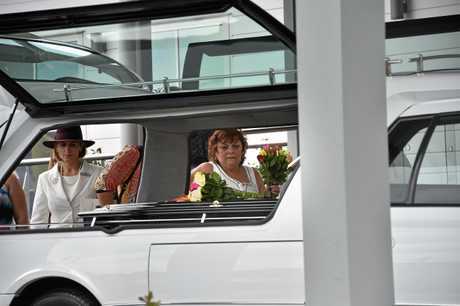 "He did everything in his power to stop the accident from happening," she said. "Unfortunately he was unable to, and silently slipped from this life to the next at 12.30pm on January 1, surrounded by his brothers, sisters and closest friends and partner." Mrs Reynders thanked those who stayed with Nyles after the crash, paying tribute to emergency service workers who gave the family much-needed support. "Knowing you were there has brought us a great deal of comfort and peace," she said. "Also thank you to emergency services, who have been so supportive. 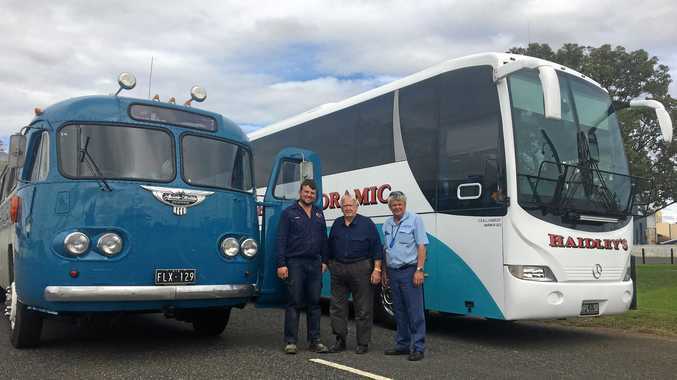 "These people deal with horrendous things over the course of their jobs, but still make time to give out family support." Speaking to the crowded chapel, Mrs Reynders thanked everyone who had come to "share in this celebration of Nyles' short life". His partner, Tayla, received a special mention, with Mrs Reynders' thanking her for the love and support she showed her baby boy. "Thank you for making our son so happy. He loved you so very much," she said. As a mother struggling to find the words to say goodbye to her son, Mrs Reynders wanted other parents to cherish every moment they had. "Our children are our greatest achievement. So go home, hold your child tight ... tell them you love them and how proud you are of them, because as they say there is no tomorrow in heaven," she said. 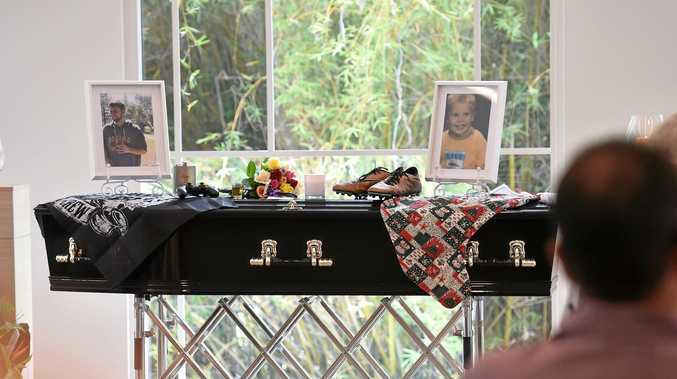 In a heart-felt letter read in front of her son's casket, Mrs Reynders was brought to tears. "With tears running down my face, knowing that we'll never hold you again, never hear your voice," she said. "My heart shatters with unbearable pain. There is no answer, just heartbreak and sadness. "You will always live on in your brothers and sisters and those who followed you. You will live on in our hearts and our minds. "We will love you today and tomorrow, always."